When it comes to mergers in the airline industry, I’ve generally been mildly in favor. I’m not exactly a fan boy, jumping up and down with excitement, but I hadn’t really seen enough negatives to make a compelling counter-argument. Now, I can say that I’ve seen one that’s definitely thought-provoking at the very least. Last year, Hubert Horan wrote a guest post here on why consolidation over the North Atlantic was bad. Now he’s extended that thought process to oppose the United/Continental merger. In fact, he testified in front of Congress this week and he was kind enough to send me a transcript of what he said. In short, he argues that these mergers will cause great harm to travelers. I’ve heard that argument before, but it’s never really struck a chord with me until now. His argument breaks down into four pieces. In 2004, the number of competitors on the North Atlantic decreased, and that led to higher fares. More than just higher fares, it led the Atlantic fares to decouple from the domestic fares that they used to track with. This seems crazy because there was also a dramatic increase in capacity, but it happened and the lower number of competitors are the best way to explain that. He’s also clear to point out that it’s not the alliances that cause problems but rather the antitrust immunity that allows airlines to coordinate schedules and fares. They were still competitive in regular alliances, but once they started receiving antitrust immunity, competition went down. Knowing what we know from #1, this shouldn’t make a difference, right? I mean, Continental and United already have antitrust immunity for international flying, so a merger shouldn’t change much. I needed the link between that and domestic flying to understand where the harm would come from. Now I think I understand the argument. Over the last few years, we’ve seen legacy airlines rush to send their fleets into the international market. Domestically, big markets are covered by the low cost carriers so competition is high, and smaller markets are, well, small. So the big profit potential is internationally for the legacy guys. The problem is that as these airlines grow internationally, they end up squeezing out other competitors from succeeding over the ocean. That in turn makes the domestic network less valuable and that leads us to . . . So here’s where we get into the meat of the argument. Domestically, the low cost carriers are most efficient, and then we see US Airways. (You might remember that they have a cost advantage to make up for their revenue disadvantage, and that means they produce seats more efficiently.) The other legacy carriers continue to grow and dominate the international arena, so they can use those profits to subsidize their domestic operations, but US Airways, despite its greater efficiency, will get squeezed. US Airways is likely to see reduced feed from partner airlines in this new world. A great deal of US Airways Atlantic traffic comes from Star Alliance partners. Those partners will now be more likely to send traffic via their own joint venture partners, Continental and United because it’s better for them. If Continental and United merge, they can coordinate domestic schedules to make connecting even more efficient within the airline. This leaves US Airways out in the cold and reduces the value of its domestic operation as well. And that’s why we see US Airways saying that it will merge with someone. It sees the writing on the wall down the road. So that gets us to three legacy competitors. The low cost carriers will continue to provide great competition on the biggest routes, as they do today, but they have yet to figure out how to compete in smaller cities and internationally. As the legacy carriers bump up their international profits, they can subsidize their domestic operations and be more aggressive with low cost carriers. Meanwhile, in smaller markets, with less competition, airlines will be less concerned about maintaining service and can cut back to profitable levels. Nobody will step in to fill that void in smaller markets. But should anyone? I mean, isn’t the point to make airlines healthier? So unprofitable capacity should go away. But . . .
Hubert looked at the mergers since deregulation and found only four that were successful. US Airways/America West was because it happened as part of a bankruptcy proceeding which allowed for real gains. The rest happened years ago and were either because two airlines consolidated a hub into one to gain efficiency (TWA and Ozark) or it was a very small, easy integration (Southwest and Morris). I think this is my favorite quote. The industry does have financial problems, but those problems will not be solved by suspending the antitrust laws so that mediocre airlines clinging to obsolete business strategies can exercise artificial market power at the expense of consumers and more efficiently run airlines. You can read Hubert’s full testimony here and his reponse to Vaughn Cordle’s pro-merger arguments here. I’d recommend digging in, because it’s a good argument. first off disclaimer…i’m not a fan of the consolidation that happening. That said, I see some flaws in Hubert’s logic and will offer a different interpretation of what’s happening. Quite simply, the Transatlantic market has done a better of resegmenting its traffic base and in adapting pricing structures to fit it. 1) Hubert’s data doesn’t show us the prior-1993 period. It would be interesting to know the effects of deregulation all up…so a 1960-ish – now look would be more revealing. 3) 2000-2002, You see the domestic market meltdown due to the dot-com bubble bursting and the immediate effects of 9/11. The legacys not only lost their price discrimination power but also got clobbered by overcapacity which shifted basic market economics. 5) The result…the larger carriers figured if Domestic US/Canada and Domestic Europe won’t work, let’s figure out where can go ahead….Transatlantic. Transatlantic has gone up dramatically for two reasons. 1) Carriers were able to distinguish a product….not just First class which got super luxurious and super pricey, but also in the Premium Economy product which showed that people would pay for just a few inches of legroom. 2) Passengers have accepted the fuel surcharge as a tax. I don’t hold as much argument here…but in the early 2000s, the fuel surcharge was the easiest way to get a fare increase. I haven’t seen a study that fully correlates fuel expense to the amount of the fuel surcharge/revenue generated. So, end of day, I don’t dispute Hubert’s data…but I would hold it the disclaimer that it’s tied to radical consolidation. No….it’s simply the market in action. 1) That’s a good point about the product. BA first introduced its flat bed in 2001, I believe, so that could have something to do with it. But still, with such large increases in capacity, you wouldn’t expect fares to take off like that. If they did, then competitors would step in and undercut them to try to siphon off traffic, right? And we have seen some of that. Eos, MAXjet, Silverjet, etc. These guys came in with a lower priced business class but weren’t able to break in to the market and establish a foothold. Part of that is the inability to pry people away from the corporate agreement stranglehold that only grows stronger when the reach of each grouping grows bigger. 2) The fuel surcharge may be the easiest way to slap on a fare increase, but people still see that when they buy their tickets. So, it’s not like they bought a cheap seat and then had an additional amount thrown on top. If fares rose so much because of that, others could have come in on the lower end to take traffic. That didn’t happen. In 2004, the number of competitors on the North Atlantic decreased, and that led to higher fares. Of course this means carriers plying the Atlantic had far greater pricing power (to push through fuel surcharges) in transAtlantic markets than they did on domestic operations. Suggesting the competitive structure on the Atlantic including ATI and scheduling/pricing coordination did have a supportive effect on pricing. I’m not sure i buy the number of competitors arguments (since the number of domestic competitors has decreased as well)….pricing power can exist in just about any type of market environment…OPEC and the price of oil’s history is an example of how an oligarchy and a cartel can both have or not have pricing power. I’m with AirBoss. If it was due to fuel costs, then domestic prices would have climbed at the same rate. They didn’t. Besides, airlines price to maximize revenue. The planning guys have to look at things like fuel costs to decide exactly how much capacity to put out there. Price tracks with demand, not with costs. I’m interested to know how the 2 west coast legacy carriers that everyone forgets about fit into this? How does Hawaiian and Alaska/Horizon work in this argument? Both are profitable, both fly international routes, and both compete with the large legacy carriers without the cover of an alliance membership. Alaska/Horizon fly into a lot of small markets that no one else would touch (Walla Walla, WA for example) and they have shown they will step into routes that others abandon (SEA-STL). These carriers behave like all others. For a carrier like Alaska, routes are cross subsidized…ones with higher margins (Alaska, Montana) offset one’s with lower margins (California). For a carrier like Hawaiian, it’s both cross seasonal and cross margin. Alaska can step into STL due to the network effect…and plus frankly, they need to stick their excess capacity somewhere other than their existing network. AA’s had to pull down of STLSEA for the reverse reason…..and anyway, the AA/AS partnership makes the handover acceptable to the Frequent Flyer base…neither group of FFQ’er (AS or AA) get screwed over. 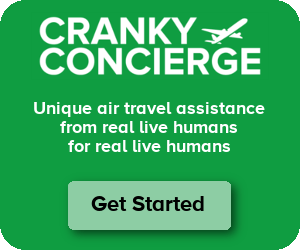 I realize they are cross subsidized and subsidized by airports, communities, and the EAS funds, but that doesn’t change the fact that they are both willing to step into routes that LCCs won’t (to point 3 of Cranky’s post); heck they are stepping in where WN is stepping out (SEA-STL again). As for the STL route, I’m not convinced that it is an excess capacity move. They are retiring 3 -400s and 2 -700s and only bringing in 4 -800s, so their available seats is shrinking (not by a lot, but still shrinking) and Horizon is sub-leasing some of their CRJ700s and I didn’t see any deliveries scheduled for more Q400s. As Dan Webb pointed out in his blog Things in the Sky, “yields booking nonstop flights from Seattle to St. Louis through Alaska were 6.56% higher than those who booked through American, for what its worth.” So it looks like a good financial move for Alaska more than a capacity control move. Also, it keeps looking like Alaska is leaning more toward the Skyteam and Delta than American and OneWorld lately so there is no telling how long the AA/AS partnership argument will hold. To run the plane in the middle of the day to STL means there was not an better opportunity to fly it in the existing network….so that says to me they have too much capacity and the stage-length adjusted financial performance to is much worse. A good financial move, probably, but not because there was a better alternative. To be clear, also, WN serves SEA-STL, just not nonstop. I took the market comment to mean overall size of the O&D not the nonstop market. WN has retrenched during the past ten years in smaller markets (Spokane, Amarillo, Lubbock, Midland…and even reorganized Salt Lake). Smaller markets (size) do have a certain problem with the economic viability of service…. CF pointed out there are right and wrong ways of doing that. The long-term future for the smallest of markets (Walla Walla etc) doesn’t seem to be too rosy. ugh…typo/grammar fart there in the first paragraph. Basically, to pick a new route means the alternatives to run it in the internal network were worse. Perhaps you are right, but this is exactly where lumping air carriers into three groups (legacy, LCC, and regional) doesn’t make sense. AS is making a decision; relatively quickly at that, to serve the STL market using their current resources. They probably could use that 737 on a (quasi-)international route to/from Canada, but instead stepped into a new market. I really can’t remember the last time I saw that behavior from another legacy carrier that wasn’t trying to score political points. Additionally, it appears from some tweets by Horizon today that AS might be planning to replace some CRJ700s with 737s as they phase out the regional jets for the Q400s. This information made me think that if STL wasn’t such a great market they could certainly accelerate the CRJ to 737 transition if they wanted to. I’m sorry, you are right, I was referring to non-stop when I said AS was moving in where WN was moving out. Also, it seems WN is calling their SEA-STL a seasonal offering. Still, it is again a move we don’t see very often from another legacy carrier. There is an inherent untenability to small markets. Cranky pointed out in his BNET post today that Horizon’s retiring of their Q200 aircraft really hurt some of the small markets. Walla Walla was a Q200 direct from SEA (I was on one of the last Q200 flights, it was a bit bittersweet), but now it is part of a multi-stop that include Milton-Freewater. Not optimal, but it does show some willingness on the part of Horizon to try to maintain some service to these small communities that are legitimately far from a larger airport. My whole issue here is that AS is a legacy carrier, but they don’t act like it. They still wholly own their regional carrier, they are profitable, and their fares are reasonable (in my opinion anyway). Additionally I think they move into areas to serve markets that larger carriers abandon or attempt to milk; thereby acting like a LCC, but their route structure and hub operations are very much hallmarks of a legacy carrier. I think Horizon has made its life difficult by having no smaller planes to provide the connecting functions a regional is supposed to provide. Not too many routes can support a 76-seat propeller plane. And I think it is questionable on whether passengers will stay on prop for more than 90 minutes if there are any good alternatives, including connections, especially if the prop is only once or twice a day. Call me skeptical… but do you know who is currently paying this guy? He spent his entire career promoting/developing airline mergers and consolidation (http://www.horanaviation.com/Bio_Experience.html) but suddenly now that he is a paid consultant, he’s advocating against them. For the right payday, someone else could create equally compelling bullet points and charts in favor of this merger. I don’t have background on who might be paying him, but I’m not sure who would be paying him to say this. Most people in the industry are in support of consolidation. The only thing I could think of would be if some anti-consolidation unions were paying. But that doesn’t really matter. Just take the argument at face value and see if you think there’s any legitimacy to it. The argument that the three consolidated network carriers will control 80% of the U.S. domestic market is obviously incorrect. The #1 U.S. domestic carrier is Southwest, and the LCCs all together are approaching 50% of the domestic market. There is LCC competition on over 80% of the mainline routes. With the rise of the LCCs, there is no longer the need for 5 legacy network carriers. The UA-CO consolidation is exactly what is needed for the changing business models, and it is the presence of the LCCs that will keep pricing for consumers. As long as entry into new markets remains possible, there is little to worry about pricing. Hobbling the network carriers by preventing consolidation will not benefit consumers. Travelers in markets that are too small to attract LCCs will have to pay the true costs of serving those small markets, but airlines like Allegiant provide an option even in some pretty small markets. Not sure where you’re getting your numbers, but the DOT says otherwise. In 2009, there were a total of 667,459,596 available seat miles (ASMs) in the domestic market and 1,290,508,900 including international flights touching the US. Low cost carriers accounted for 181,186,745 ASMs in the domestic market and 189,203,058 internationally. That means that low cost carriers accounted for 27.1% of the domestic market and 14.7% of the total market. AirTran, Frontier/Midwest/Lynx, JetBlue, Southwest, Allegiant, Spirit, Sun Country, USA 3000, Virgin America. These numbers aren’t perfect since they don’t include the smallest airlines and I don’t believe they include all foreign carriers. He also was using 2009 through November so these could be a bit off. I also don’t know which airlines he used as low cost. He might have included Icelandair, for example, on international routes. And there have been some other guys like Thomas Cook and FlyGlobespan over the past few years. I also don’t include Mexican low cost carriers or WestJet. But in Appendix A, Hubert says that low cost carriers provide 23% of domestic capacity and 18% of total. That doesn’t seem that far off and it’s certainly nowhere near 50%. I agree – it’s the small cities that will be likely to suffer most. But you’re forgetting about the overlap with Cleveland/Chicago here as well. I agree that there will be few markets that go from 2 to 1 airline in this case, but many still argue that going from 3 to 2 is bad as well. Hubert is definitely putting forth more of a slippery slope argument, but if it proves to be true, then it could be bad. I assumed Cleveland wasn’t that important because it is a small operation and likely doesn’t have that much connecting traffic. Also, how often are the 5 legacies the ones that initiate lower fares, vs. just matching SW or other LCCs? If they are primarily following the others, then will 3->2 really result in less fare competition? I really don’t see any of UA, CO, DL or AA being leaders in lowering fares with no LCC competition, except maybe if they are inaugurating a new route or have a bunch of excess capacity they want to fill. I think the issue for the small markets is more about loss of service than lowering fares. I mean, sure, they want lower fares, but they’re simply concerned about losing a ton of service so they don’t even have the option. Loss of service in small markets is an issue, but I am not sure it is the reason to block a merger. Some small markets risk losing service except for EAS or similar subsidies. The subsidy is never a long-term solution. In the case of the merger the issue is, like Cleveland (or Cincinatti for Delta) that they have a bunch of non-stop service which is occasionally desirable for hub residents but not really economically viable and after the merger the carrier determines to route most service via connections at other hubs. Instead of CLE-BOS now there is CLE-ORD-BOS, CLE-IAD-BOS, CLE-EWR-BOS (plus of course CLE-LGA-BOS, CLE-BWI-BOS, CLE-PHL-BOS etc.) Is it reason to block the merger to maintain the non-stop route? If there’s really demand for a non-stop, will no one fill it? Is it right to harm the economics of the nationwide network to preserve some weak nonstops? Maybe CO will downsize CLE anyway. Delta was likely to downsize CVG even without the NW merger – with the rise of direct LCC flights, fewer hubs are needed to complete the network. If people are worried about the lack of competition and fares going high, they the government should never have allowed alliances to form in the first place. As someone I know always says, ‘what goes around, comes around’. We will see history repeat itself one day. DL, AA, and a UA/CO combo will one day turn into the PanAm, Braniff, and TWA in aviation history and be gone and the big boys over the Pacific, Atlantic, and to Latin America will be Southwest, AirTran, and Spirit. Just because you ‘rule’ the internation market today, doesn’t mean you will rule it tomorrow. DL, AA, UA, and CO all bought their international routes from PanAm, Braniff, and TWA. I honestly doubt any of the current carriers would repeat the mistake of selling off their really lucrative routes. I have to question Mr. Horan’s “facts.” And therefore, his conclusions. In footnote #5 on page 5 Horan states that US Airways and America West were BOTH in Chapter 11 during their merger. Based on everything I’ve read and seen (I live in PHX so get plenty of HP / US news) This is false. America West was NOT in Chapter 11. US Airways was and may have faced liquidation. I also question his conclusion that it’s likely both carriers would have faced liquidation (although he may have information I have no access to). The only thing I’ve ever seen from Doug Parker (and I realize a CEO’s job is partially to protect the company from adverse public reaction and avoid a selling panic) is that HP would have probably had to enter Chapter 11. Chapter 11 doesn’t necessarily mean a company will be liquidated, although sometimes it happens. That being written, the US / HP merger process was certainly influenced by the Chapter 11 process. If Horan gets a simple fact like this completely wrong, I have to question his other “facts,” If he can’t get a simple fact like this straight (especially living in PHX himself) I have to question his conclusions. That’s a very minor fact that clearly was overlooked here. I would hardly let that small thing discredit the entire argument. I agree. And it is a compelling view. But I just have to wonder about the thoroughhness of Horan’s research. OK Cranky, I’m confused. It seems that Mr. Horan’s arguments all boil down to “consolidation means prices go up”. No argument here… but isn’t that the whole point? You have been outspoken despite how unpopular your view (much to your credit, I believe) that prices NEED to go up in order for the industry to be sustainable. Has that view changed? As I mentioned in one of the comments, this hasn’t changed my view but rather given me something good to think about. There’s no question in my eyes that fares need to rise to create a stable industry, but if fares rise to the point where there is no opportunity for new entrants and you start seeing insane levels of profit, then you’ve got a problem. This argument is based around the idea that these airlines will have enough control to start getting mega profits. If that happens, then you might eventually see these things broken up again. Your open-mindedness is admirable! But, in terms of Mr. Horan’s argument, I really think he’s getting ahead of himself. What you’re describing is the reality of the cyclicle nature of capitalism (think ‘Ma Bell)… one day, when consolidation leads to mega profits (just imagine! ), we’ll cross that bridge… no government action (including ATI) is ever permanent… it’s just a matter of time before the business cycle progresses and the pendulum swings in Washington to match. Fair enough, but that would suggest that everything should be reactive when it comes to antitrust. If there’s a good chance that you can foresee problems, then you should stop it if you’re the government. Now if it’s all theoretical, then yes, you can go back and undo what’s been done. But that’s a lot harder to do than stopping it in the first place. I understand that point as well… but, it’s hardly the case that we’re facing an immenent situation where airlines will be gouging customers while raking-in major profits! :) We’re way at the other extreme… Mr. Horan isn’t wrong that a move toward the “center” is also a move in the direction of the opposite extreme… but just because there may be a slipperly slope shouldn’t preclude us from taking ANY steps forward. For the average customer, it’s tough figuring out what does and does not make sense regarding mergers, consolidations, etc. But, the granting of anti-trust immunity, whether related to pricing, routes, capacities, whatever, seldom seems to me to be in my best interests. I know, the proponents say, more and better choices. But, I find too often they really mean: “At last, we no longer have to compete.” The result, fewer choices, higher prices. Alliances, fine. Just like having preferred providers, or people we would prefer to deal with. OK. but when you allow the alliance to have anti-trust immunity, all bets are off. Make interlining with any and all legitimate carriers a requirement. Allow carriers to advertise and emphasize preferred carriers. And of course, check to see that mergers and consolidations are not patently anti-competitive, or will not destroy all vestiges of competition. But, don’t fall for that anti-trust immunity need. “Obsolete business strategies”…such as what? And what would be the alternative? The reality is if the US wants the network currently offered by its air carriers, fares need to rise, regardless of how they rise. Period. The business strategy of the network carriers is that every flight is a connection to a hub. Pretty much every domestic UA flight is to/from ORD, IAD, DEN, SFO or LAX. Pretty much every domestic CO fligth is to/from IAD, EWR or CLE. Pretty much every domestic AA flight is to/from LGA/JFK, DFW, ORD, MIA or LAX. Pretty much every domestic DL flight is to/from LGA/JFK, ATL, DTW, MSP, MEM or SLC, and what remains of CVG. The way they serve all other markets is via connections at their hubs. That’s higher cost than LCC direct flights on routes that don’t fit the hub model. That’s the evolution of the business model and why we no longer need 5 network carriers. The problem is that whereas the point to point model is the most cost effective way to get people from A to B, it also has an extremely finite application and is often the least practical. If the industry was all point to point, a good half of all cities would have zero air service–at least. The hub and spoke model is alive and well, and the most efficient way to get people from anywhere to anywhere. It may be higher cost but it also is much higher yielding on average. LCC’s can undercut legacies because their costs are lower. Legacy carriers, however, can manage the lower yield traffic off the plane when there is a hub on one or both ends, something that is impossible in all but the largest, highest yield point to point markets. Hence most of the rest of point-to-point markets are dominated by the lowest cost carrier, not because LCCs are geniuses and have found an untapped goldmine, but because they’re the only ones that can make them work, until someone else comes along with lower costs. Inevitably the B6s, NKs, FLs, and even WNs of the world start to build a hub operation so they can manage the cheap traffic off just like everyone else. And voila we’re back to square one with the hub model:-). 1. SW operations in Denver and MDW sure look a lot like a hub, don’t they? It does seem that this becomes a natural evolution for the airlines as they mature. 2. Most LCCs start with young, junior employees. But as time goes on, their costs rise and start to approach the network carriers. The only ones that has bucked that trend, to a degree, is SW. Maybe one reason is that they for years kept their model simple and avoided all frills, but even they seem to be slowly getting more like the others, though they still don’t have first class or lounges. The other reason is their fuel hedges. Wonder if they don’t have the fuel hedges if they are all that different. Bottom line, no matter how it happens, if airfares rise significantly, less people will fly. That is what WN and other low cost carriers have brought to the marketplace. Don’t know the answer but with the volatility of fuel prices, the continuing recession, domestically business travel has decreased and in the leisure market, unless there are cheap seats, vacationers typically won’t fly. Drive up ticket prices signficantly, there will be more empty seats. Some truth to that already. We’re driving this year instead of flying for our vacation. It was too expensive for airfare + rental car + hotel, so we are driving + hotel and saving a ton of money, plus seeing the country on back roads. Hey everyone. I’m going to respond to a bunch of points in the various comments here, but the main point I want to start with that applies to all of my comments is this . . . I have posted this as a compelling argument. That doesn’t mean that I have all of a sudden decided that I agree with it completely and have reversed my stance to be against mergers. It simply means that it’s a good thought-provoking argument that’s worth considering. I think there is undoubtedly some truth to this, but that doesn’t mean consolidation is a bad thing. It just means there are some real, potential threats when it happens. Now, I’ll go on to individually respond to some of the comments in line. ” . . . Are Strictly Motivated by the Potential for Increased Anti-Competitive Market Power” and by the incredible fees merchant banks and legal firms receive as a result of promoting them. Alternate hypothesis: fuel prices rose for everybody, both domestic and international. But SWA had substantial fuel hedges domestically, and became the low price setter others had to match (leading to big domestic losses). But since SWA doesn’t fly internationally, prices could rise there. As far as LCCs not serving smaller cities, wouldn’t AirTran be a counter-example? Oooh, I like that one. Good point about Southwest. I wonder what impact that would have had overall. As far as AirTran, they do serve some smaller cities but generally only if there’s a subsidy being thrown their way. Places like Akron/Canton don’t really count since they’re effectively alternate airports for big cities. Brett, to sort of play devil’s advocate here. Looking at US airlines only, for the period 1995-2008, the network carriers in total grew ASMs .033%. During that time LCCs grew total ASMs by something like 380%. So LCCs by 2015-2020 will control 40-50% of the market based on current trends. The other point I wish to make, is yes, small markets will lose some competitors, but I don’t think airlines will raise fares in those markets too much. Here’s my reasoning. Small markets are vital in providing feed to the larger hubs. If they raise fares too high, then they might lose passengers. So they have a vested interest in not raising fares too high. Assuming that you’ll see the same growth going forward as we saw throughout the mid 1990s and early 2000s is a mistake. Just look at the low cost carriers now. They aren’t growing nearly as fast, and there aren’t nearly as many opportunities as there were back then. Excellent post. There’’s a lot going on here that you could dissect in subsequent posts if you wanted. I’m a little late to the party but wanted to offer a few points. I don’t expect one to agree with all of my positions, but I know I’m not alone and we spend money. 1. AIrline service is not a pure free market. If it were, WN would be all over DCA already. There are many constraints that the airlines cannot do much about, at least not on at a speed to respond to fluctuations in the market: slots (which I favor over ghastly delays trapped in a place), en route capacity, unilateral fee setting by airports, etc. Because it’s not a pure free market, I also favor things like perimeter rules for DCA and LGA. 3. If USAir is in danger of going out of business due to pressure from a UA/CO merger, isn’t it time for them to change their thinking in order to survive? It’s not enough to just list under LCC. You have to think like one. What I’m on about is that I believe US is ceding traffic to WN without even a struggle. Example: DCA to BUF. SO many of us drive to BWI just to avoid the onerous pricing on this route. I’m not a huge fan of WN and I’d rather get Star miles, but US squanders their 3 slot pairs a day by using small planes and has pricing that drives all but the most dedicated (or affluent) away. BUF has had an epiphany about the smallest planes after CO 3407. It is also an extremely price-sensitive market on the Buffalo end due to local wages levels. Yet there are many of us emigrees in DC who make a good living and would gladly pay a reasonable premium to fly out of DCA over BWI – but not at the levels and restrictions and change fee levels that US charges. If US could get some sensible pricing in place, they could fill 3 A321s a day and put a genuine squeeze on WN. There are other markets which one could make similar arguments: DCA-MHT, PVD, ALB. H1 – Wouldn’t it be more convincing if the data was broken out by Y/C/F? The disparities across the Atlantic are much larger than domestically, so there are possible skews underneath that could be supporting a misleading summary. Back to my BUF example, I once flew to AMS for less than the going rate to BUF at the time (before genuine taxes and government fees). This is ridiculous – 4000 miles cheaper than 400? H2 – OK so it’s against the current shrink-to-profit thinking that is so fashionable, but this argument ignores the possibility of legacies actually growing in markets, especially those with international feeder traffic. H3 – Yes US thinks it has to merge. But I still contend that they are capable of growing domestically with or without a merger, especially if they can provide competition on more small routes with something larger than 50 seaters and consumers gain confidence about pilots on smaller aircraft thanks to regulatory improvements. For the consumer, some of this is economics, some of it is perception or psychology. H4 – It seems a little early to make this statement about DL/NW, especially since CVG is still drawing down. I don’t think anyone will miss flying BUF to CLE on a 37 seater, especially when you can drive more quickly (except for maybe some of us geeks.) And if I can get to TXL on a 767 instead of a CO 757, I would gladly go through Newark. Missing from Hubert’s case is any mention of, say, Ryanair joining the transatlantic set. You won’t see me on board, but if it helps keep costs low, I’m all for it. Anyway, these are the thoughts of an amateur observer. I look forward to your insight. Great comment. Let me try and go through to address your points. 1) That’s not true. There have been several times when Southwest could have gone into National. They just haven’t wanted to pay the price or, previously, it didn’t fit with their strategy. I’m not sure why this would make you in favor of perimeter rules. It just makes airlines fly to markets that are less than optimal. With a finite number of slots, wouldn’t you want them to use them where the biggest benefit lies? 2) Maybe I’m missing something, but I don’t see anything in here that contradicts my thoughts on perimeter rules. In fact, I’m not sure what this has to do with perimeter rules at all. 3) I have faith that US Airways is maximizing their revenue on National-Buffalo. They’re flying 2 50 seat jets and 1 A319 every day. I know that the National operation is profitable. If US Airways could make more profit flying A321s all day, then they would. BTW, that’s unfortunate if the crash in Buffalo has pushed people away from small planes. It had nothing to do with small planes – it was pilot error. H1) Sure, it would be fine to see it broken out by class, but it doesn’t change the fact that there was a tremendous change in the dynamic in 2004. Was it due to skyrocketing biz class fares? Maybe. But airlines can command higher fares when there aren’t other options. H2) The general feeling is that the domestic US market is relatively mature. There may be incremental growth as traffic grows over time, but there are very few places where big growth is possible. As for Ryanair, I asked him about that. His point was that Ryanair has been talking about it for years, and they still haven’t figured out a way to do it. You haven’t heard them talking about it much lately either, have you? Not really. They’ve been quiet. And other guys who have tried the low cost model over the Atlantic have failed, like flyGlobespan. Thanks for the considered response. I like the perimeter rules because I believe BUF would disappear (along with BTV, ROC, along with many cities in the Carolinas and Tennessee among others) without them. Biggest benefit applies to statistics. I’m talking about people and what the local population wants. I reject the most benefit to the most people. Why? Because people don’t mind driving to IAD for hourly service to LAX, SFO or wherever else over 4 hours. And people from Los Angeles moved here knowing they probably couldn’t go home for the weekend. But that is not the case for people from the NE US. We moved here because we had to 10 or 20 years ago (see Rust Belt). Now we have ailing parents and such and would gladly pay that premium I talked about. A weekend trip from DCA can be feasible where a weekend trip from BWI or IAD is not, or it’s just better to drive in these markets. Many do. 3. Nice that you have faith. I am alleging otherwise – namely that US could rake in bucks if they tried something they haven’t before. I don’t have statistics because US stopped their $99 each way fares years ago. You know where I hear it? When the WN flight attendants make in-flight announcements to try and organize share cab rides into DC proper on morning flights. US used to fly 321s on the morning flight. Best I could see, it was close to full. I’m not saying this contradicts your statements about the perimeter rule. What I am saying is that Hubert’s comments about many of the negative effects only apply if legacy carriers fail to exploit some of the natural advantages they have. The perimeter rule is (hopefully) an easy place to illustrate this. Yes it is unfortunate about people perceptions about small planes. But that is the reality. Market based on that. This is new – make the move now. H2 – is exactly what I’m getting after. The market may be mature, but that doesn’t mean that people don’t compromise what they want for a better fare. My assertion is that legacy drawdown is a cop out, especially when you have low costs. Ok, so let’s forget Ryanair. What about Air Berlin? The already have ops here and get great reviews. Germany-US should be ripe after CO assimilation into Star. I see your point about the perimeter rule, but I don’t think you’d see all these small cities lose service completely. I mean, if we look at the perimeter from DC, there are very few markets that would have service beyond. Denver, Seattle, SFO, LAX, Phoenix, Vegas, maybe Salt Lake. I think Austin is outside the perimeter, right? Most of these are cities that are already served with the perimeter exemptions, so maybe only a handful more would move in. Besides, there’s serious political damage if you go and pull out of all those small cities. Congresspeople love their small city routes. Gets them votes. They’re trying out SFO this summer and Miami Berlin will be new in the winter, but that is not much growth if there really was opportunity. I know it’s late and might not get a response, but does anyone know anything of the re-emergence of the skywest-expressjet merger rumor? I haven’t heard anything about it, but that doesn’t really mean anything.